Before starting a fire, check your city’s ordinances. You may need permission or a permit, depending on your location. Do not start fires under windy or dry conditions. 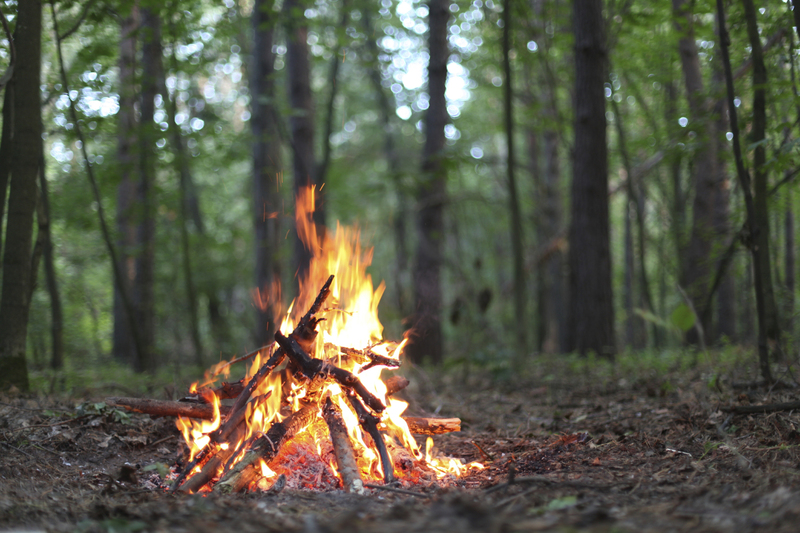 Build the fire in an open area away from trees, houses, fences, trash, overhead cables, and tents. Note the position of the wind before starting the fire. Flying sparks can cause injury or ignite something unintended. Only burn dry wood; do not burn wet materials, painted items, furniture, or aerosols/canisters. Wet materials can cause excessive smoke, painted items often release hazardous fumes into the air, items such as furniture can cause large flames, and aerosols/canisters can explode. Do not use accelerants to light the fire. Lighter fluid or gasoline can cause serious burns and out-of-control flames. Keep the size of your fire reasonable. A large fire can quickly get out of hand. Keep a garden hose or a bucket of water nearby for emergencies. Be conscientious of alcohol consumption. Extinguish the fire properly. Do not just let the flames burn out; soak the embers completely with water.